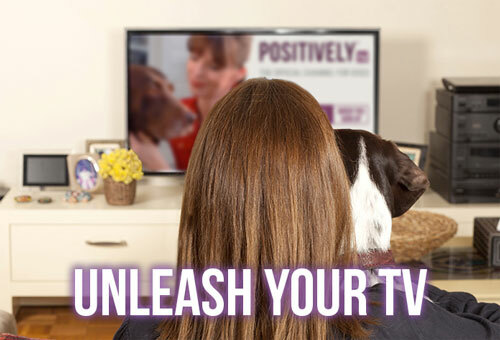 Home >> Positively Contributors >> Dog Reactivity – what actually is it? 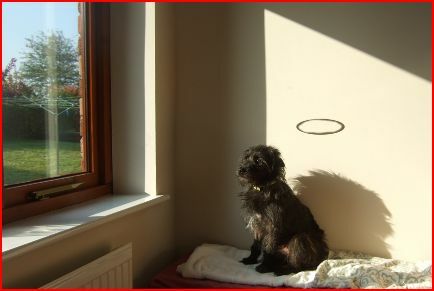 Sometimes Smidge’s halo slips a little – but it’s there! 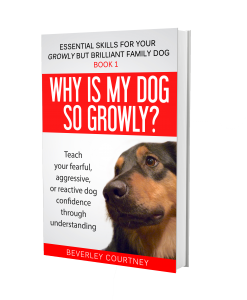 My three new books on Growly Dogs - Essential Skills for your Growly but Brilliant Family Dog - are out now, and I thought I’d give you a couple of chapters from Book 1 Why is my dog so growly? to get you started on the road to change. Chapter 1 Reactivity - what is it? You may think your dog is weird - that one moment he’s a happy dog inside the house, and as soon as you step outside he turns into a snarly monster. Imagine you’re enjoying tea and cake at a friend’s house. You’re happy and relaxed. Then your friend takes you to see his reptile collection (Oh no!! Exactly what makes your skin crawl!). In that room full of snakes and lizards, do you feel as comfortable as you were in the tea-and-cake room? And when he opens the cage and offers you one to hold ... that’s when you may panic and need to get out of the room. Have you ever felt anxious and jittery for some reason? Worried about an interview, perhaps, or waiting for news from the hospital. Every bang or squeak makes you jump! Imagine living in that state all the time. And at the bottom of this is usually FEAR. The reason your dog is making such a hullabaloo at the sight of another dog (or person, bike, jogger, car, plastic bag, you-name-it) is because she’s trying to keep it away from her. Putting on an Oscar-winning display of teeth, claws, and noise usually does the trick. The other person or dog may think, “This is a nasty dog, I’m outa here,” or you - in your embarrassment and confusion - take the dog away, or dive into someone’s driveway till the other has passed. 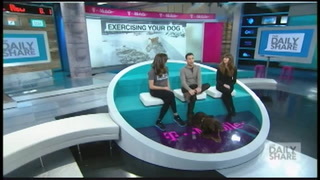 Either way, for your dog, the barking and lunging worked! The threat is no longer there! Sometimes this response is totally misunderstood by the owner, who says, “He drags me towards every dog because he wants to play”. In a later chapter we’ll be looking in detail at Dog Body Language. It’s possible you are not recognising some of the things your dog is telling you! It will be much clearer when you’ve learnt his sophisticated method of communication. I will be saying this over and over again. Your dog doesn’t have a secret agenda to terrify the neighbourhood; she has no wish to fight with every dog she sees. All she wants is for the thing that’s coming at her to go away. And she’s discovered that her fear reaction of barking and prancing often works. So that’s what she’ll keep doing. Until ... we show her another way to get the same result! Without anxiety, distress, and disarray. Your dog is not aggressive, nasty, vicious - any of the names that passers-by may give her. She’s just afraid. If this comes as a surprise to you, have a look at other aspects of your dog - around the house for instance. Does she jump at loud bangs? Does she bark at visitors? Is she deeply suspicious of any new object in her environment, creeping up slowly to inspect it on tippy-toes with outstretched neck? Does she get distressed when she’s left alone? Is it hard to brush her, or trim her feet? All these can also be indicators of an anxious dog who is more likely to react to strange dogs, people, or things, when out. This dog may be friendly but other dogs may not think so! Another reason some dogs become reactive is frustration. They may really want to meet every dog or person in the world and expect a good outcome. 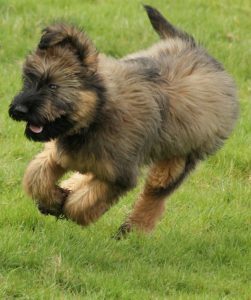 This may work when they’re off-lead and able to get away (more about that later on), but it may also come apart quite quickly when the other dog doesn’t welcome the intrusion, or is much bigger and bolder than your dog first thought. 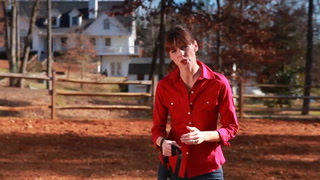 Off-lead this can result in a panic response where your dog snaps and barks before running away. There is scope for this to go badly wrong, if the other dog joins in the fray. On-lead the frustration grows very quickly, as the dog does not have the freedom to do what he wants, and little impulse control to deal with these feelings. So he barks and lunges towards the other dog. The symptoms are the same as for the fear-barker - though the underlying cause is slightly different. This dog’s actions are often misunderstood by his owner, who fears they have an aggressive dog. The frustrated dog may have poor social skills, racing up to a strange dog and hurling himself in their face, or on top of them. Imagine someone doing that to you in the street: you’d have a thing or two to say, I’m sure! He may be stuck in puppyhood, thinking that racing up to every dog is ok. This dog needs to learn manners, just as our children do. We wouldn’t accept behaviour from a teenager or adult that we’d accept from a three-year-old child. It would be most inappropriate. And yet many owners think it’s ok that their dog should jump up at every dog they see, just because they think he’s friendly. I can only say that I’ve never seen a dog-reactive dog who is “fine” off-lead. Book 1 in the series "Essential Skills for your Growly but Brilliant Family Dog"
A little study of dog body language will reveal a lot of signs of discomfort in this dog. The only advantage of being off-lead is that the dog can get away before things get out of hand. And because this is not possible when he’s on-lead, we get the “fight or flight” result: b-a-r-k-i-n-g.